What Makes The Removal Of Unwanted Cars Crucial? A car has some lifecycle and eventually comes to the point where it is going to cost more to fix. It is not always practical to keep a hold of such vehicles and go through expensive repairs. Rather than allowing damaged vehicles taking up your valuable space, you must prefer to attain most cash for cars in return. Selling used vehicle to trusted car buyer gives an amazing opportunity to earn something instantly. Selling a broken vehicle to a car removal expert is an eco-friendly solution to car owners. A certified car removal company takes proper measures to ensure an unwanted vehicle does not end up in a landfill. Improper disposal of junk cars is responsible for environmental hazards. Replacing or repairing the badly damaged vehicle is expensive, especially the old ones. The more hassle-free option that avoids you paying expenses is to find out a professional car removal company. An expert from car removal company gives you hard cash in hand. No matter your vehicle is running or not, a professional offers a fair price for it. Scrap car removal companies work greatly by offering the best solutions to your junk cars. 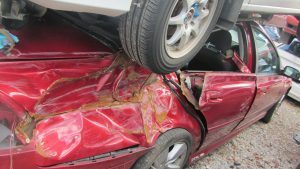 Yes, it is too good to hire a car removal company in Perth and attain gratifying cash in hand for scrap vehicles. They make the car removal process smooth and easy for you by selling all kind of wrecked vehicles.